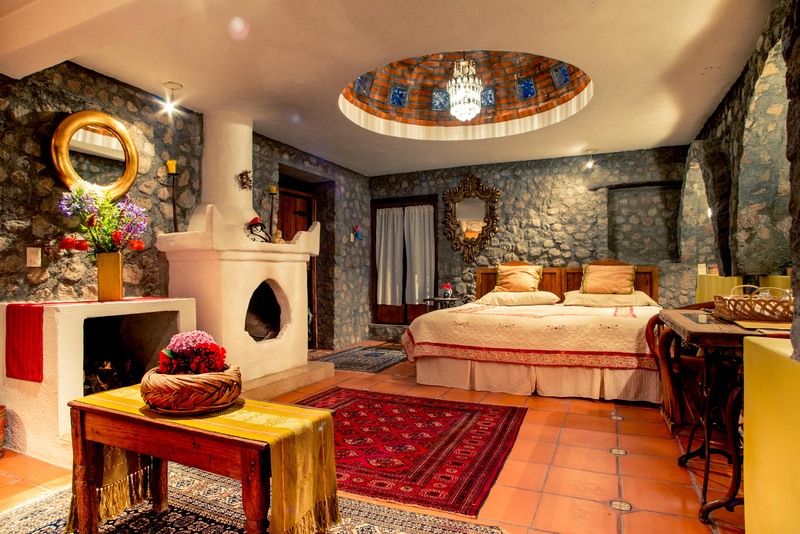 Casa Carmelita, is the “hacienda style” home of Doña Estela and her American husband Jon. 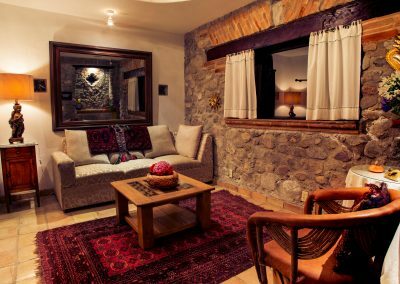 It is not a resort, but a comfortable family home where you will experience the routines of a Mexican family in its kitchen. Our accommodations include your choice of a double room, detached garden cottage and a two room suite. 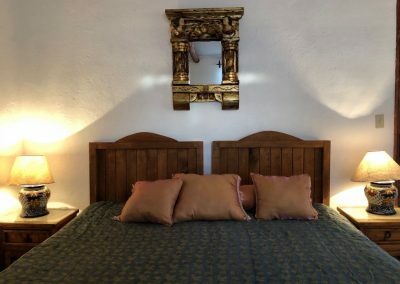 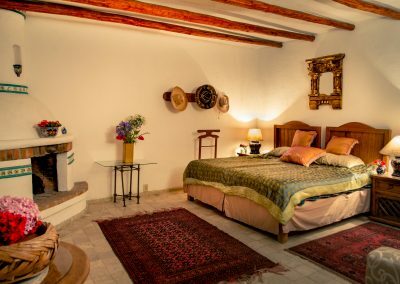 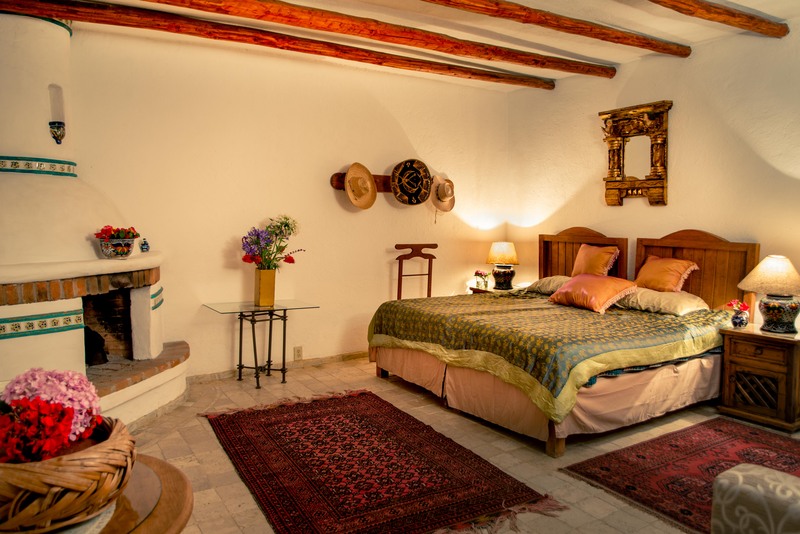 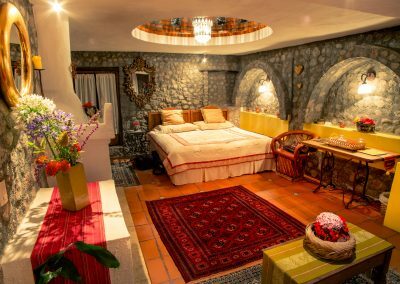 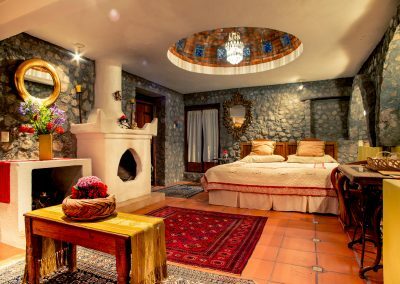 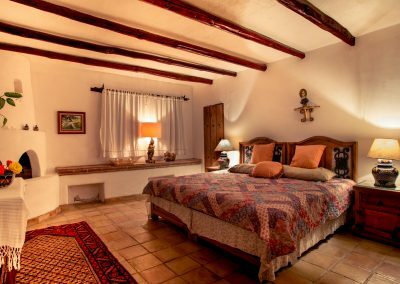 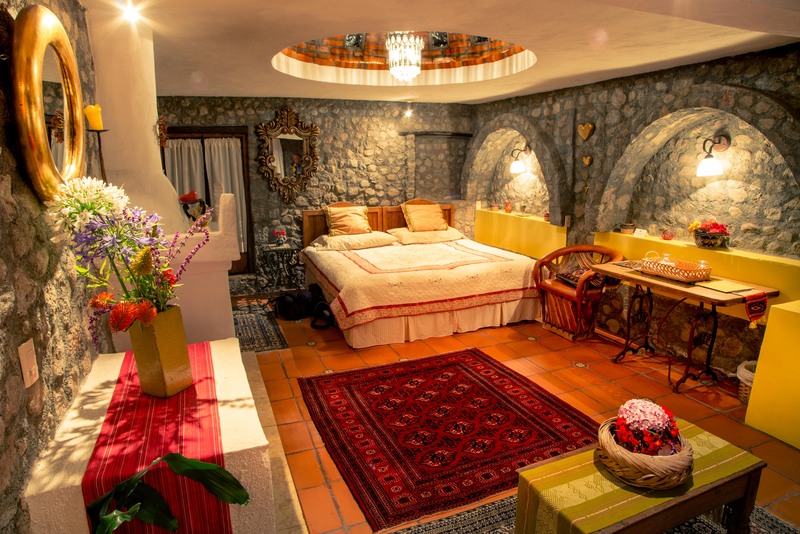 Each is unique, built and furnished using local materials in the traditions of indigenous, Spanish, Moorish, and French cultures that mixed in this area. 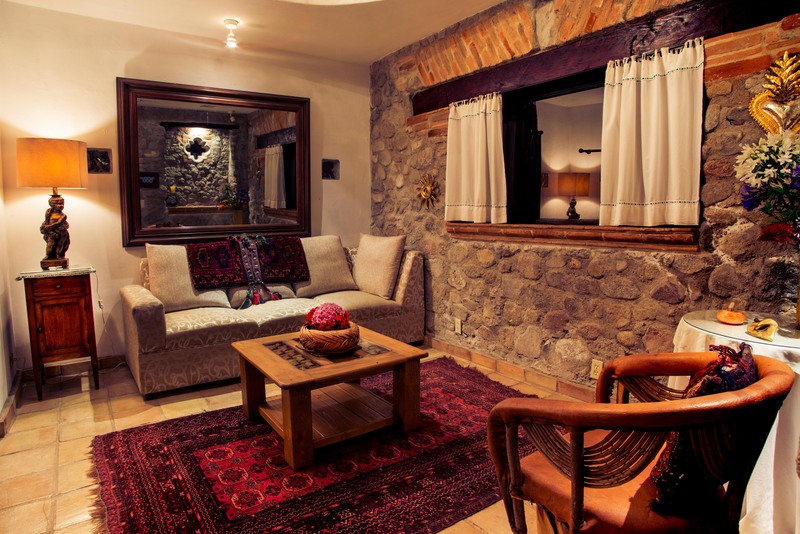 Each accommodation is spacious with private bath and a fireplace (for cool evenings).